DENVER – Sixty-seven of the world’s best female cyclists made lightning-fast laps on rain-soaked pavement around the Velorama Festival on Saturday and Jennifer Valente (Twenty20 p/b Sho-Air) proved fastest. The 2016 Olympic Track silver medalist was one of a small contingent of riders to power out of the saddle to a sprint finish, a feat that earned her the win and also the Frontier Airlines Sprint jersey. Valente blazed past second-place Kendall Ryan (TIBCO-Silicon Valley Bank) and third-place Emma White (Rally Cycling) by less than half a bike’s length for the win. “It was pretty hectic, the last five laps. There were a couple attacks that went off with a couple laps to go. In the final, going through those intermediate sprints helped me a lot. A little bit of patience ended up paying off,” said Valente, who lives in Colorado Springs. The Stage 3 presented by UnitedHealthcare’s women’s criterium featured an hour of 1.1-mile loops around the Velorama Festival grounds in Denver’s RiNO Art District. The race became significantly more thrilling when rain began to fall, rendering the pavement wet and the tight corners especially dangerous, leading to one crash, but luckily no serious injuries. Team Affinity’s Leigh Ann Ganzar scrambled through the tricky conditions, winning the FirstBank Most Aggressive Rider Jersey as Gillian Ellsay (Rally) once again landed the IKON Pass Best Young Rider jersey after also earning it in Stage 1. “I thought the rain might have scared people away, it almost scared me away,” joked UnitedHealthcare’s Katie Hall. The big story going into Sunday’s final stage of the race is that Hall, the Stage 2 Vail time trial winner, still wears the blue Gates General Classification leader’s jersey. She holds a 24-second lead over UHC teammate and Colorado Tourism Office Queen of the Mountain leader Leah Thomas. Colorado native Abigail Mickey (Rally) sits in third place in the GC, 1 minute, 22 seconds back. “We’ve got pretty big gaps in the women’s race, so we feel good about our position. It should be a fun race on Sunday,” Hall said. Fifteen of the world’s top women’s teams are competing in this year’s Colorado Classic, which wraps up Sunday with Stage 4 presented by Gates Industrial Corporation. There will be 64 women left to compete in Stage 4, an urban circuit race through downtown Denver from Velorama to City Park.  The 2018 Colorado Classic women’s race is made possible by Antero Resources and is part of USA Cycling’s Pro Road Tour, which showcases the premier domestic road events in the United States..